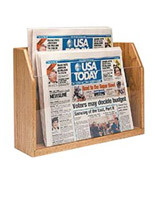 These newspaper holders are designed to hold daily or weekly publications. 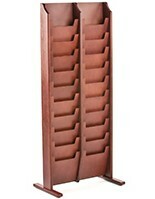 Each stand is made from medium oak wood. 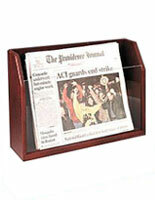 The durable holders have a clear acrylic stopper to keep papers secure. The organizers are perfect for magazines as well. 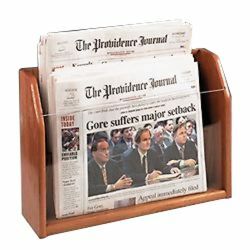 Place the holders on counters or tables for the perfect small display. 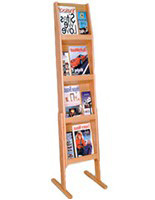 The 17" x 12" stand is perfect for office settings.